Modern Needs is listening and dance party with special guest DJs and monthly musical themes, held at the great Last Exit bar in scenic Brooklyn U.S.A. 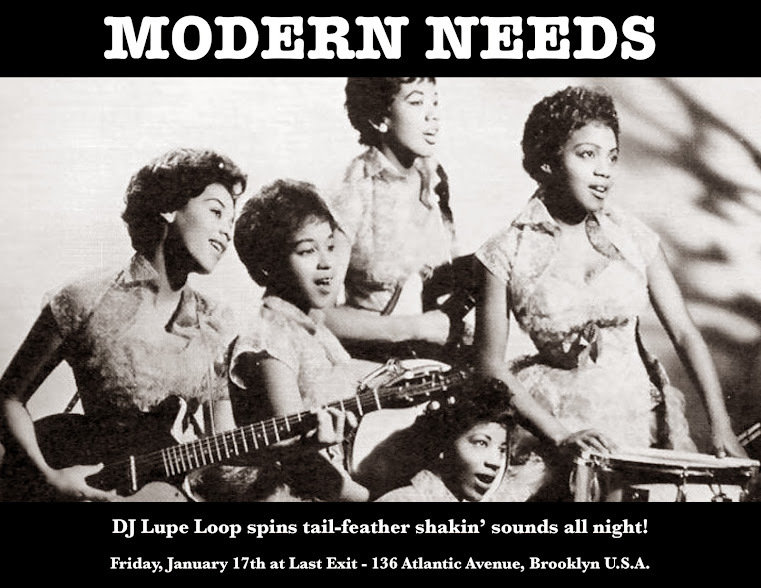 The January edition features special guest DJ, the lovely and talented Lupe Loop. Lupe Loop — your usual host DJ Mr. Lee is on hiatus this month — will be spinning tail-feather shaken' sounds until the wee small hours!